The presentation was organized by the Friends of the Nantes Municipal Library. 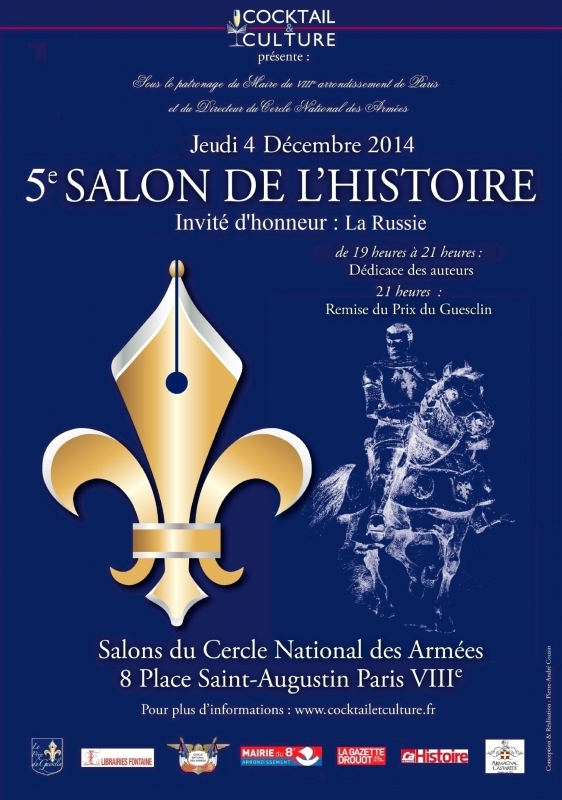 Organised by the Association Cocktail & Culture, in partnership with the book stores les Librairies Fontaine, under patronage of the Ambassador of Russia, of the Mayor of the Parisian 8th district, and of the Director of the National Circles of the Armies. You can find more details about the Salon here.